In fact, I doubt you will NEVER get that amount in that bulk by working, ever. If you were a property owner and struck it lucky, after many years of buying, selling and skillful negotiating, you MIGHT get it from selling a few multi-tower office buildings. Build another Facebook or Pinterest? Even in today's internet bonanza times, it's very unlikely you'll develop and sell a digital business at that price. Facebook is a quirk of fortune. As is Amazon. And Whatsapp. Only one person in many millions has the ability to be rewarded at that monetary level. 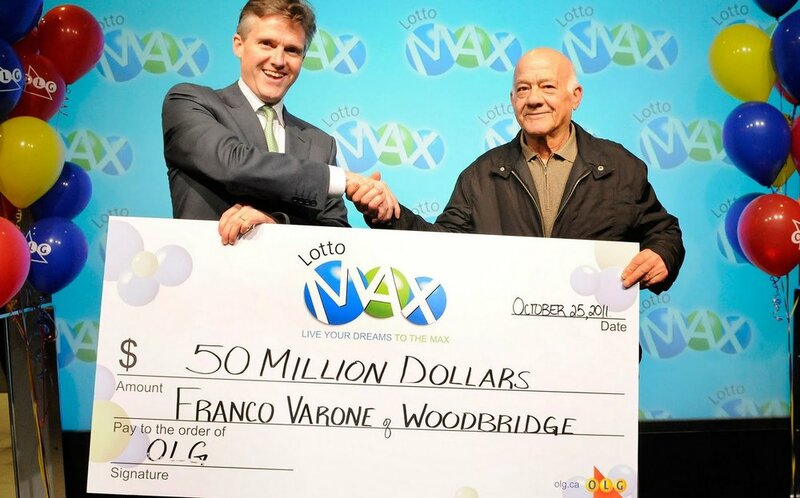 So you can see the chance of getting $50 million in a lump sum is almost impossible. Horse racing, gaming, poker... none of them bring up this kind of money. And especially not every week or so. Nothing comes close to the lottery for enormous rewards. And it's why I throw all my resources at it every week to give you and me a fightin' chance. So what's that chance worth to you? How much would you spend to get it? The crazy thing is that most players - and I mean 99.999999% of all players - consider it's about $5 a game. They say $5 is the most they will spend on tickets to be rewarded with that vast amount. I think they've given up hope. They have lost belief. They have been sucked in by other losers who can 'prove' that everyone's chances of winning the lottery is one in many millions. And most of the world (wrongly) thinks that way. Except the lottery winners. Thousands of them every week around the world, winning prizes from a few thousand bucks all the way up to the mega millions. If you only had one way to make a fortune as large as $50 million or more wouldn't you spend as much time and money as you could to achieve it? Now is the time to stop waffling. Now is the the time to decide to make winning your priority. The rewards are vast. Winning big brings you untold personal pleasure. Even the simple act of being able to do what you want, when you want, is an amazing freedom to experience. You need all the tools to strengthen your winning position, and they are listed in the PRODUCTS menu above. Now give this week your best chance!